Date : 14th and 15th December 2018 (Fri & Sat). To mark the Silver Jubilee of Manipal Academy of Higher Education (MAHE) – Deemed to be University. This event is open to all the Manipal Alumni across the globe. 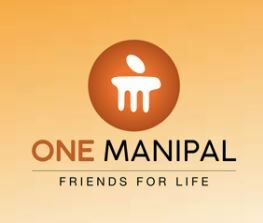 The theme is “ONE MANIPAL …Friends for Life”. There will be numerous informal activities to re-live your student days in Manipal. We have also planned a couple of formal events for networking. Your presence at this event will also be an occasion to ascertain how we at MAHE can support you all, and learn more about Alumni’s role as ambassadors of their Alma mater. Your participation may also catalyse a ‘wow’ factor: about the shaping up of Manipal as a University town in sync with many of the universities of repute across nations. Looking forward to meet you at Manipal on 14th and 15th December this year.